Welcome to Primary Care Today on ReachMD. Here’s your host Dr. Brian McDonough. You know, there are many ways to take care of patients, many different approaches. 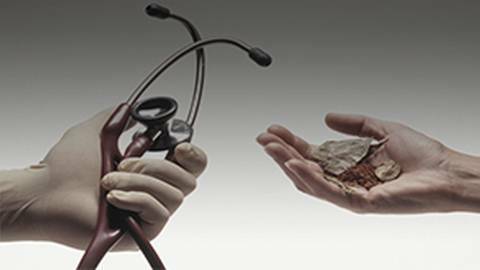 One of the most interesting is the use of integrative medicine. Hi, I’m Dr. Brian McDonough, and I’m at the ReachMD studios just outside of Philadelphia, and with me today is Dr. Robin Miller. Dr. Miller is joining us from Oregon, and she has a specific interest in integrative medicine. Dr. Miller, welcome to the program. My first question for you is, at the very top: Where did you get that interest? What was it about integrative medicine that got you excited about using it as a tool for patient care? So, I remember being in a room, doing my practice, seeing people every 10 minutes, writing way more prescriptions than I wanted to, and realizing that the patient in the room didn’t really need me to be writing prescriptions. They needed me to talk to them about what they were doing and how it was really going to help their health to change some of their lifestyle choices, and that was the day I quit and decided to do an integrative medicine fellowship with Dr. Andrew Weil, because I realized there were other ways to help people to be well and that pills weren’t the answer. Yes, before we even get to the Dr. Weil part, it’s something very interesting, because a lot of our audience, obviously, primary care physicians are watching this saying, “Yes, I’m chasing the RVUs; I’m working; I’m on the computer; I’m doing these things.” But some of them might say, “Well, how did you that? I mean, I’ve got a family,” or, “I’ve got kids; I’ve got responsibilities and I just can’t get up and walk away.” It must have been a courageous move at the time. It was because they had a restricted covenant, so I couldn’t work for a year and a half. I volunteered instead. My husband is also a gastroenterologist, so that helped, but I also got the hospital to pay for my fellowship and start a clinic with me when I was done. So, the way I work it now is I spend an hour and a half with each new patient, half an hour for follow-ups, an hour for each physical, and I don’t take insurance, and that’s how I’m able to do it. So, you don’t take insurance. It’s people actually will pay you for the services, and they’re probably very happy to pay you for it, but it isn’t done… What about the insurance industry? Because obviously a lot of that is focused on diagnosis codes. It’s focused on procedures. It’s focused on through-put and prescribing medicines. Do you think that will ever change? Do you see any changes? It has to change. We can’t keep doing what we’re doing. The system is so broken, and we really aren’t helping patients doing what we’re doing right now—every 10 minutes. You only can talk about 1 problem in 10 minutes or 2 problems. There are even signs up saying that. What I do for my patients is I really think that I help them in a way other physicians aren’t at this point, and now when I see them for their physicals after I’ve done the initial evaluation, I don’t need the hour. They’re in really good shape. And I would tell you that maybe 70 to 80% of my patients get well. How many other doctors can tell you that? Now granted, they come to me because they want to get well, but it’s amazing. You started working… You mentioned Dr. Andrew Weil, and I don’t know, probably most physicians who are listening or watching this are probably aware of him, but tell me a little bit about Dr. Weil and his philosophy. Well, he has been doing integrative medicine for years and years and years and started a fellowship over, oh, 18 years ago, and he decided we needed to train physicians to take more of an integrative approach, meaning that integrative medicine is really a partnership with patients and physicians to help them get well, not have a disease-centered approach. So, most doctors these days are doing disease after disease after disease management, whereas integrative medicine is engaging the patient so that they develop healthy lifestyle choices so they can get well and maybe not develop chronic diseases, or if they have chronic diseases, that they improve. It’s a real approach. It’s a philosophy, I guess, as much as a way of care. It is, and you can use conventional medicine; you can use alternative medicine. Whatever that patient needs, that’s what I give them. When a lot of us hear the term integrative medicine, we do think of the other nontraditional medicines. What have you seen, for you at least, that works? What has been effective overall? And I don’t mean… We could talk about specific conditions, but what are some of maybe the surprising treatments you give that a person practicing so-called traditional medicine might not be aware of? So, I actually use a lot of genetics. I do a lot of genetic testing. One test that I use quite a bit is something called MTHFR. Are you familiar with it? No, tell us about it. It’s a gene that codes for enzymes that help you process folic acid. So, when you take folic acid in your diet or your green leafy vegetables, a series of enzymes in the gut work on them and turn them into L-methylfolate. L-methylfolate is what your body uses to make serotonin, dopamine, and norepinephrine, all those things that make you feel good and give you energy. So, if you have 1 mutation on that gene, your levels are down by 30%; 2 mutations, you’re down by 70%. The treatment is simple. I just give you L-methylfolate. It’s a vitamin, considered medicinal food. So, if I get someone who’s depressed, that’s what I try first, and it helps. The other thing that people don’t realize is that your gut is lined with brain cells. So, oftentimes these patients will have irritable bowel symptoms or irritable bowel syndrome. If you give them the L-methylfolate, it goes away. Now, it’s not the be-all and end-all, but it’s an easy thing to do. The treatment’s really simple, and it’s benign, and more and more doctors are starting to adopt it, but not as many as I would like. So, I actually wrote a book explaining a lot of the things I do that are evidence-based. It’s called, Healed! Health & Wellness for the 21st Century. It really explains a lot of these things, because I’m hoping it will catch on. And that book, obviously, you can get it at Amazon, anywhere else online, that sort of thing? Yes, it’s on Amazon.com. It’s also at Wellhealed.net. But physicians would like that book; patients would like that book. There’s a lot of really good things in there that make a lot of sense. And, obviously, when you talk about a treatment like that, most physicians would say, “Gee, I don’t even know what you’re talking about.” How do you develop the evidence for it? Because, you know, we are getting to the point where we’re always looking at evidence-based medicine and what are the studies. Are there studies, more and more studies, with integrative medicine? There are tons of studies out there, and I use them all in my book, but the studies on MTHFR are solid. And, in fact, Medicare pays for the test. It used to be experimental. It’s no longer experimental. So, you can do a blood test. You can also do a cheek swab. But most insurances will pay for it now, so that tells you something right there. Sure, absolutely. When you’re talking about a condition that affects the GI tract, we’re starting to notice a lot of different things impact the GI tract. I mean, whether it’s irritable bowel, whether it’s colitis, those types of conditions have a much greater impact than what we used to think were the common causes. What’s your knowledge on that and how you treat, let’s say, somebody with colitis? Well, first of all, the microbiome is one of these things that’s like exploding, pardon the pun, in terms of its significance. So, we all know now that the gut bacteria are really, really important, and having healthy gut bacteria are important. So, for people with colitis, what I do is I try and… First of all, I send them to a gastroenterologist, but along with the GI treatment, I really work on reducing their inflammation by having a whole-food healthy diet. And there are certain diets that are better than others. So, the specific carbohydrate diet is one that I recommend that really helps quiet the bowels and help them to heal. And the healthier the food and the healthier the lifestyle, the healthier the gut. One of the things I’m working on right now with a compounding pharmacist is they’ve done these studies on ginger, ginger ground into nanoparticles that helps heal the gut of experimental mice who have colitis. So, I’m working on that with one of my compounding pharmacist friends to see if we can get ginger ground into nanoparticles and give it to people who have inflammatory bowel disease and see if it helps. And I’ve been talking to the GI people here, and they’re interested in doing the study. It would be harmless and it might work. Who knows? Well, that’s one of the things that’s interesting about integrative medicine. Many of the treatments are relatively harmless. You don’t have as many of the dramatic side effects. I would think that’s an advantage. Oh, yes. Well, I try and do the least amount of—things with the least amount of side effects as possible. That’s why the MTHFR is so wonderful that maybe I can help treat depression with a medicinal food or vitamin versus an antidepressant. And if I’m going to use an antidepressant, there’s actually a gene test that I use called GeneSight. Mayo Clinic developed it. It’s a great test—again, a cheek swab. It will tell you which medicines patients are more likely to tolerate than others. We all are unique. We all have different enzyme activity levels in our liver that are programmed by genes. So, this test will tell you whether Prozac is the right drug, or maybe it’s not the right drug. If they’re fast metabolizers of Prozac, you wouldn’t want to use it because it’s not going to work. If you’re a slow metabolizer, you don’t want to use it because they’re going to have side effects. But, if they’re normal metabolizers, that might be a really good choice. It’s a great test. It shows you which antidepressants might work the best, pain medicines that might work the best. It’ll show you the people at risk for having respiratory depression from pain meds because there’s a gene that will show you that. It’s called OPRM1. So, if they have 1 or 2 gene alleles on that gene, they are at high risk for respiratory depression. That’s very useful information. So, that’s a test I utilize quite a bit. I’m Dr. Brian McDonough. My guest is Dr. Robin Miller. She’s joining me from Oregon, and we’re talking about integrative medicine. I know you and I started relatively the same time in medicine and began our careers, and I remember as a turning point when I was working in Fox television—I’m going to stay mid ‘90s—the Journal of the American Medical Association did a feature issue on integrative medicine, and it was a big deal, because they really hadn’t really acknowledged it or looked at it, and that was a big day in American medicine. And we’re talking now about 20, 25 years ago, but at the time there used to be resistance to this, wasn’t there? Oh, yes, and in some cases there are. Some people will turn to me and say, “Ah, you’re just a voodoo doctor.” But I’m not. Everything I do is based in evidence. I listen to patients and I try and figure out what they need versus asking them to fit into my paradigm. Do you still use a lot of more traditional medications as well, or do you find that you actually use them in your practice and treat patients with them as a combination? It’s more a combination. There are certain drugs I try and stay away from. I really try and stay away from the opioid pain meds. I don’t like them at all. And as many people as I can get off of them, I will, as long as their pain is controlled. So, yes, it depends on the patient. Some of them want the traditional medicines. Some of them need the traditional medicines. And then there are people who only want natural medicines and I’m putting them on the traditional medicines because that’s what works and that’s what’s safest. So, the other thing I do is dissuade people from using supplements that I think are dangerous and won’t help them, because I think people have this misconception that supplements are natural and so they’re safe, but they may not be. Right, that’s a really good point you bring up, exactly. We only have a couple of minutes left. What didn’t I ask you, Robin, that you think is important that we should talk about? Okay, so there’s an activity that will reduce your risk of Alzheimer’s disease by 76%, help depression, help social anxiety, help all kinds of ills, even help cancer patients get through chemotherapy. So, do you want to know what that is? I’m going to guess, exercise? Yes, but it’s a particular kind of exercise. Oh, a kind of exercise, uh-oh. No, it’s ballroom or partner dancing. Yes. So, they did a study. They studied over 400 seniors for over 5 years, 469 senior citizens. After about 5 years, a hundred had dementia. They looked at their activities and saw which ones were protective or reduced the risk, and which ones didn’t. So, swimming, golfing, bicycling, did not reduce the risk for dementia. Doing crossword puzzles reduced it by 47%, reading regularly 35%, but 1 activity reduced it 76%, and that was partner or ballroom dancing 2-3 times a week. Now the question is why? What is it that they think was the big advantage of partner or ballroom dancing? The reason is because you’re not just exercising your body, but your mind is going back and forth with someone else’s brain in a way. You have to be aware of the other person, what they’re signaling to you, whether you’re leading or following, and you’re actually building new neural networks in your brain. It also helps Parkinson’s patients because it actually bypasses the part of the brain that’s been damaged. So, Parkinson’s patients may not be able to walk really well, but they can dance, and if you give them music on a regular beat, they’ll be able to walk. That is fascinating. Dr. Robin Miller, I want to thank you for joining us on Primary Care Today here on ReachMD and joining us from Oregon. I really appreciate you taking the time to talk about it, and some really great conversation about some very interesting things. And, of course, your book—once again, if you can let us know, what’s the name of it and how people could have an opportunity to get it? It’s called, Healed! Health and Wellness for the 21st Century. It’s on Amazon.com or Wellhealed.net, and go on and get it. It’s got great information. Dr. Robin Miller, thank you so much. Thanks for joining us on Primary Care Today and have a great night. Thank you so much. This is Primary Care Today on ReachMD. 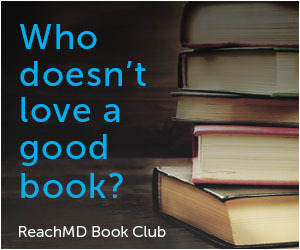 To access other episodes of this series, visit www.ReachMD.com where you can be part of the knowledge. Looking to take a more personalized patient diagnosis and treatment approach? Here’s how one physician did just that. In the early years of Dr. Robin Miller's career, she found herself writing more prescriptions and spending less time counseling the patients sitting in her exam room. It was then that she realized that something had to change…so she quit her job and began a fellowship in integrated medicine. Dr. Brian McDonough talks with Dr. Miller about her decision to switch her career focus and how her approach to diagnosing and treating patients has evolved.